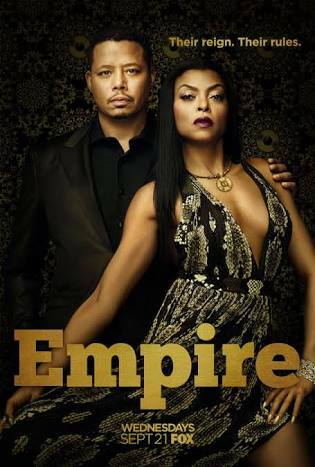 MOVIE TIME: Empire is coming back in 2days!! Hallaa!! All ye empire fans, hear ye hear yee! Lol dust your computers,get your laptops and phones close,find a stable WiFi and get ready to download/watch(whatever rocks your boat) but know this Empire Season 3 comes on September 21st. In the series Lucious Lyon(Terrence Howard) is a quite selfish music god/legend and an ex street thug he used the money they made from selling drugs to start a record label called Empire Entertainment. 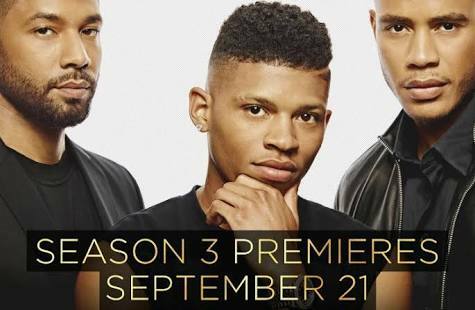 When he realized he was sick, he made his 3 sons Andre(Trai Byers) Jamal(Jussie Smollett) Hakeem(Bryshere Grey) ‘battle’ each other for who is going to take over the company. Lets not forget Cookie Lyon(Taraji P Henson) Lucious’ ex wife who went to prison for 17years,she’s also determined to bring the family back together.The wife of the first son Andre.Lucious”godmother’ PA Becky she’s so nice to everyone esp. The boys.Cookie’s talkative PA. Lucious’ skinny ex wife to be Rhonda. Too many people. If you haven’t seen it yet please do😣. Jamal of course heard and loved the song and he was inspired straight up and then Another Jamal Lyon hit was born. I’ve been trying to put the link,but its not working. But if you want to look for it KILL OR BE KILLED is the title of the trailer.